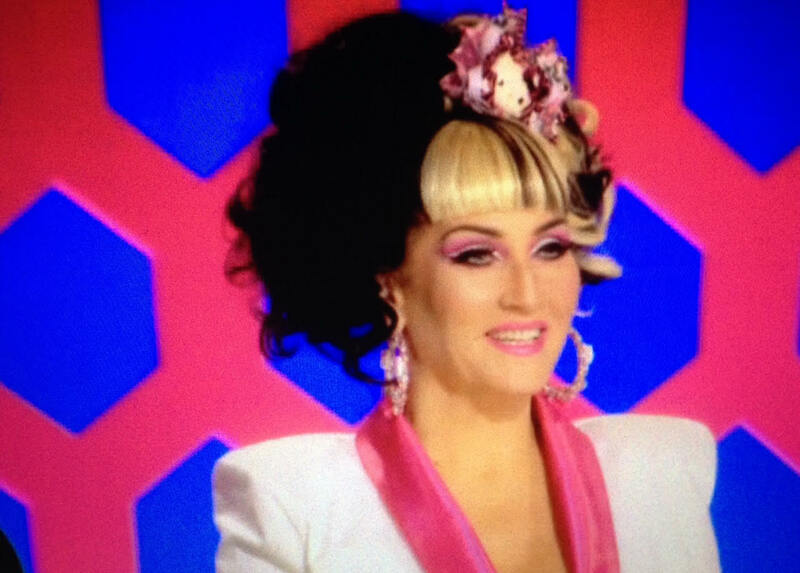 I’ve been binge-watching LogoTV’s RuPaul’s Drag Race for the past month. All seven seasons. It’s an addiction I’m very happy to admit. 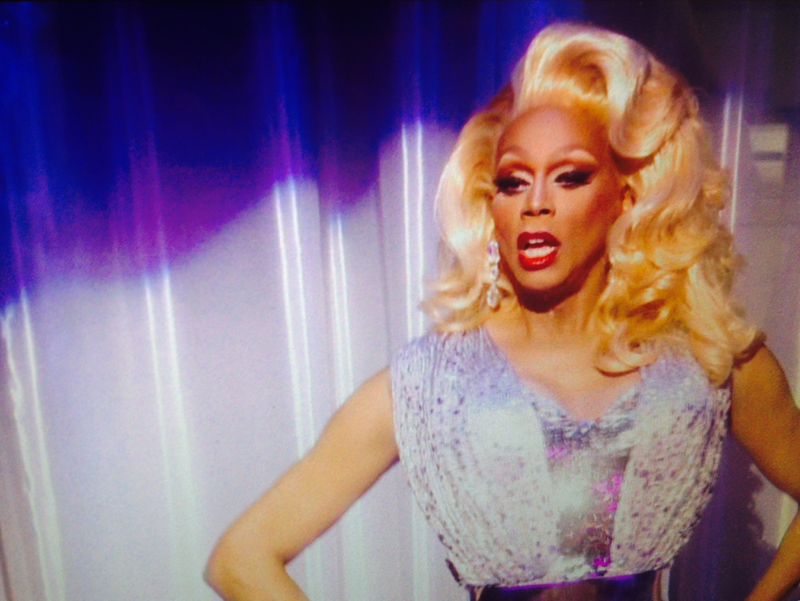 I love me some drag queens and especially love me some RuPaul. 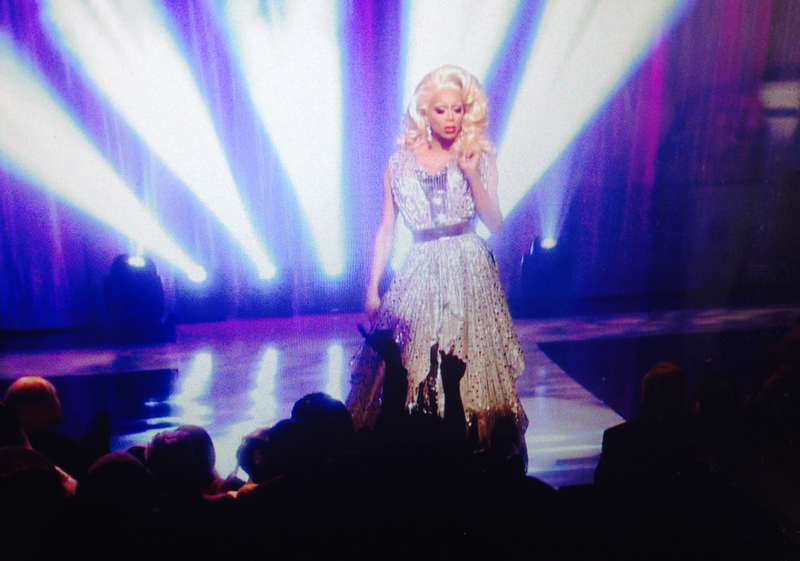 I remember watching RuPaul’s talk show (The RuPaul Show) on Vh1 in the late-90s. 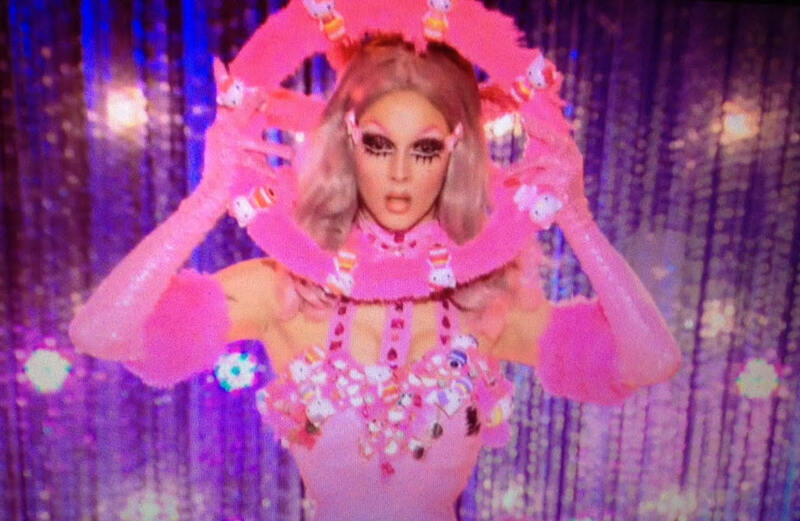 I was in middle school when it aired, and was so enamored by Ru. What a talent, I thought; you couldn’t keep your eyes off her. I was a fan of hers then and am an even bigger fan of her now. 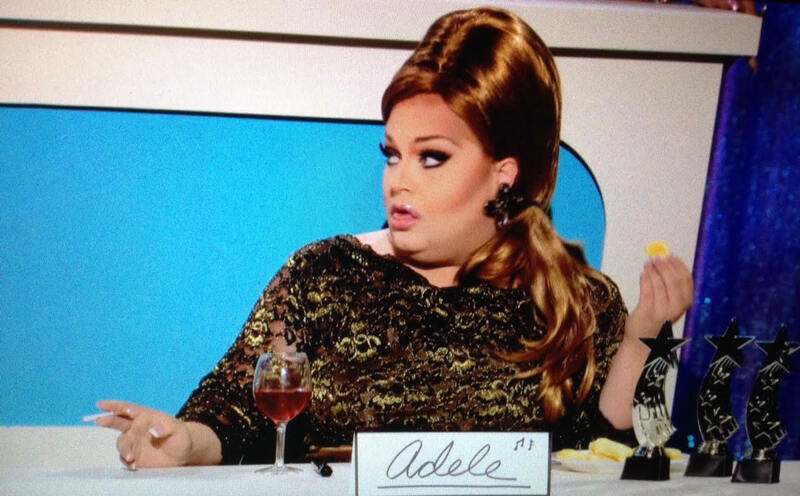 The Drag Race competition show is such a guilty pleasure of mine. I watch it while I’m getting dressed for work, while I’m cooking, and when I unwind after getting off from work. And while most shows lose their luster after each season, Drag Race does quite the opposite: it gains more fans and attention with every year. When I was deciding to make a new ice cream for this week’s post I immediately turned to my mini garden I’ve been working on for the past 3 months. One of my favorite things I’m growing right now is lavender. The aroma is so soothing and delicious; I so desperately have been wanting an excuse to cook with it. 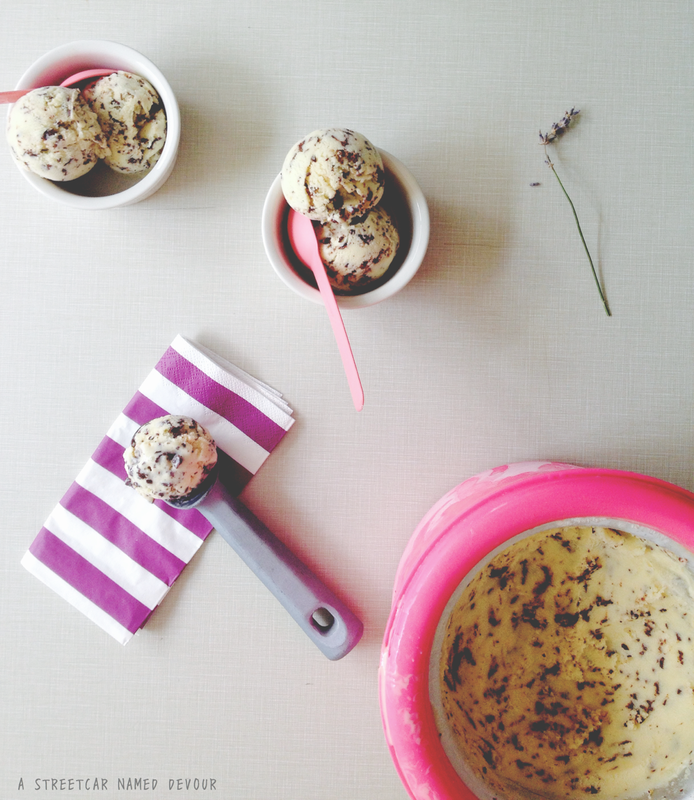 My idea was to create a honey lavender ice cream with a twist–add some chocolate. 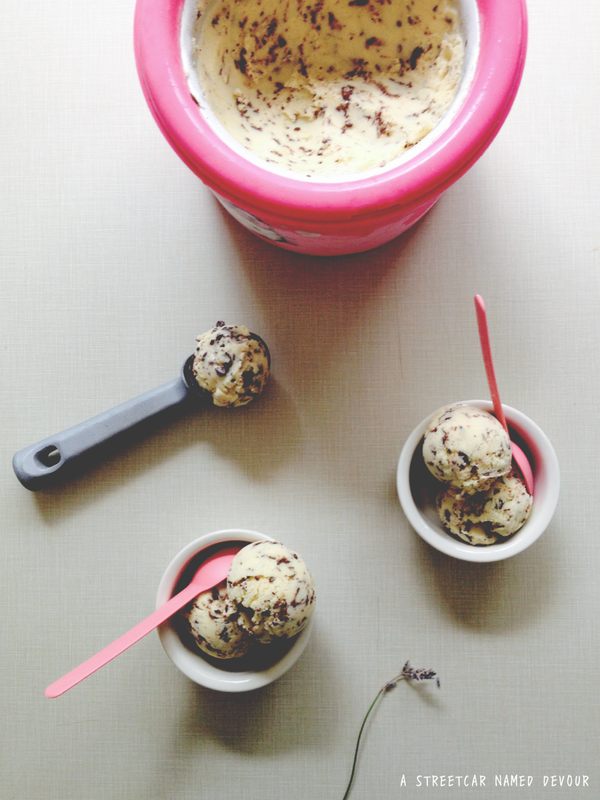 Dark chocolate and lavender go so well together, I didn’t want to turn down the opportunity to pair these flavors for this ice cream flavor. 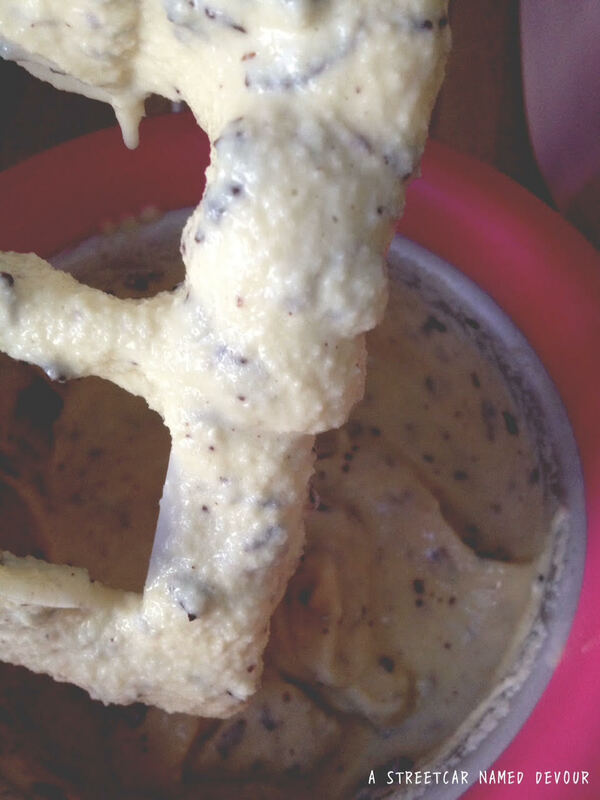 And instead of simply adding chips, I wanted to make a stracciatella-type ice cream. 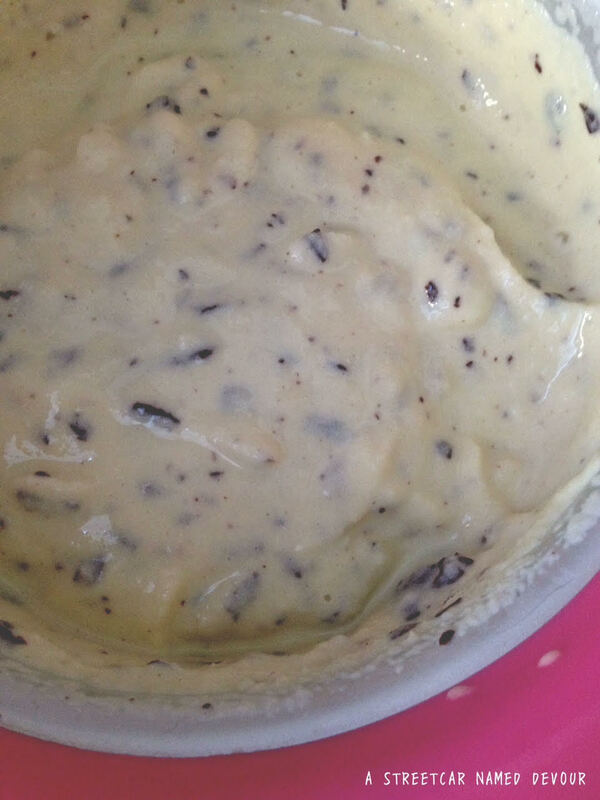 The soft, mellow taste from the lavender ice cream immediately reach your taste buds, and then these quick yet small bursts of chocolate melt in your mouth and add a lasting finish. 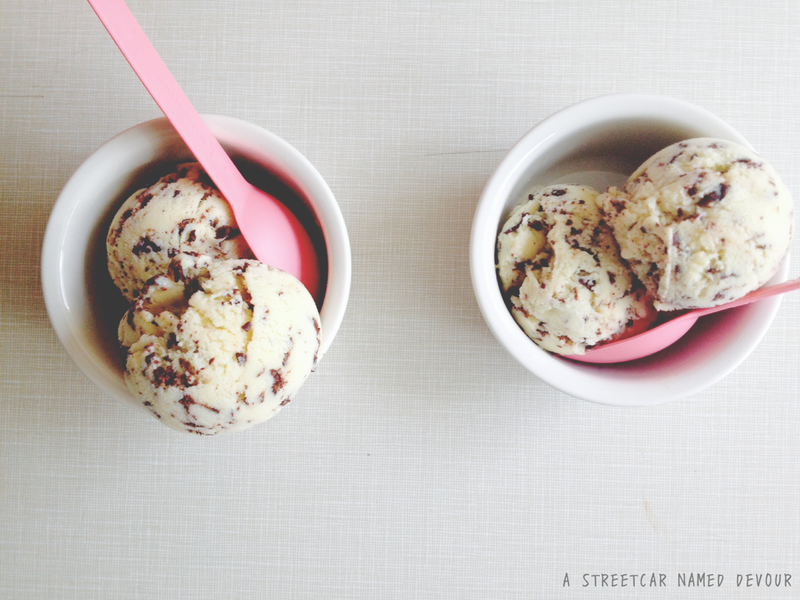 Both flavors are undeniably perfect together, much like RuPaul and Michelle Visage! 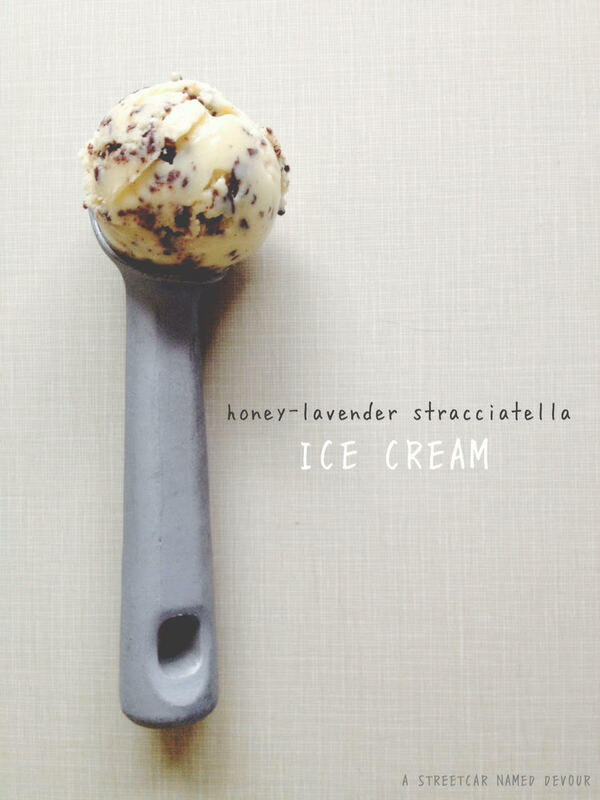 And how great of a drag queen name is Honey Lavender Stracciatella? It’s mine now! 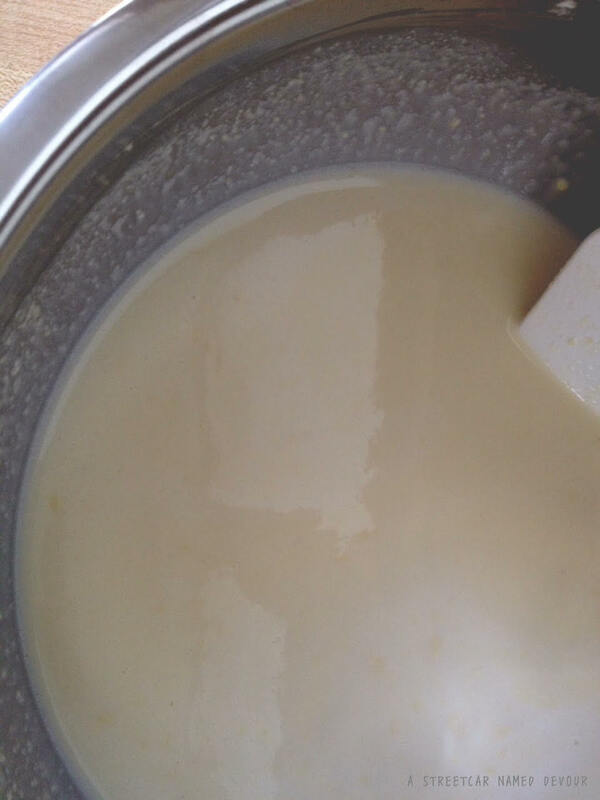 In a small pot, heat 2 cups of the milk till just-scalding. 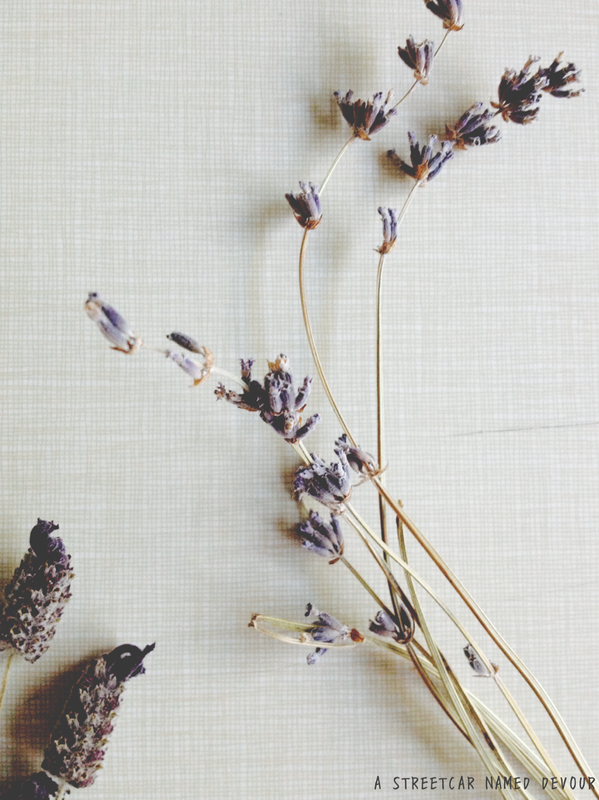 Place the lavender buds in a separate medium-sized pan (preferable shallow). 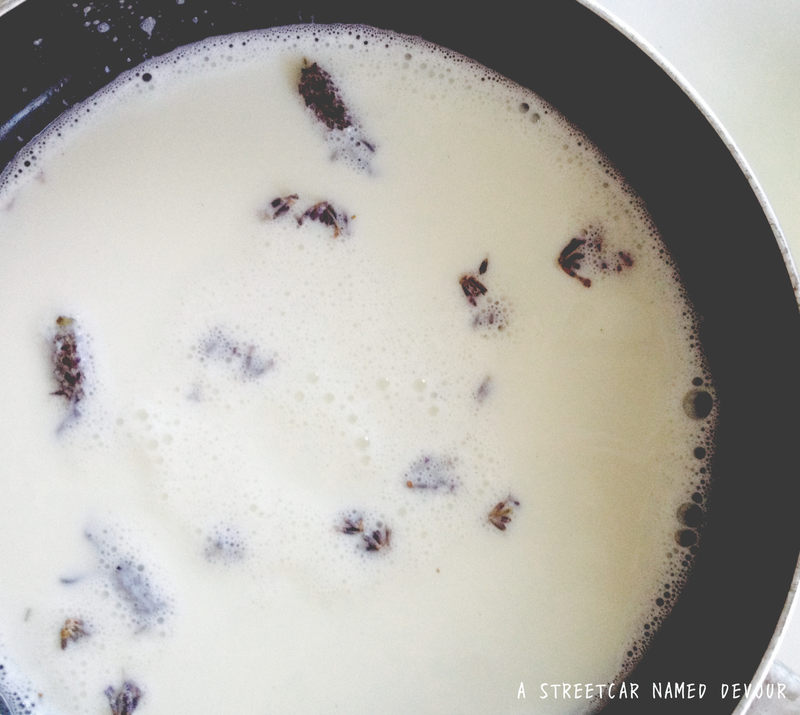 When the milk is scalding, quickly remove from the heat and pour into the shallow pan with the lavender buds. 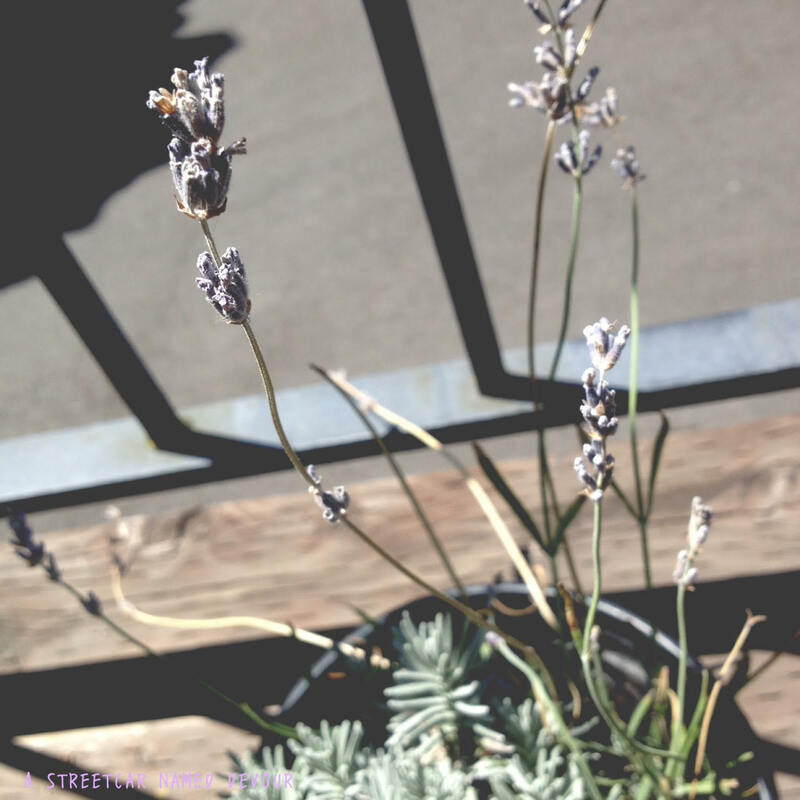 This will “shock” the lavender and immediately extract all of the essential oils you want to obtain to get the greatest amount of flavor. Turn on the heat to medium-low and whisk occasionally to avoid scorching. Add in the honey and salt. Allow flower buds to steep in the heated milk for about an hour, adjusting the heat if it gets too hot or cool. 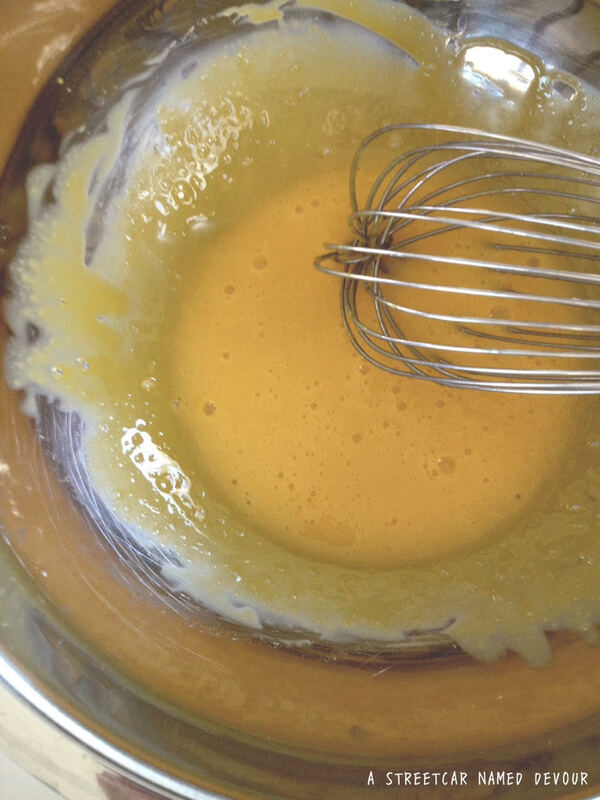 In a separate mixing bowl, place the egg yolks and whisk rigorously till thickened. 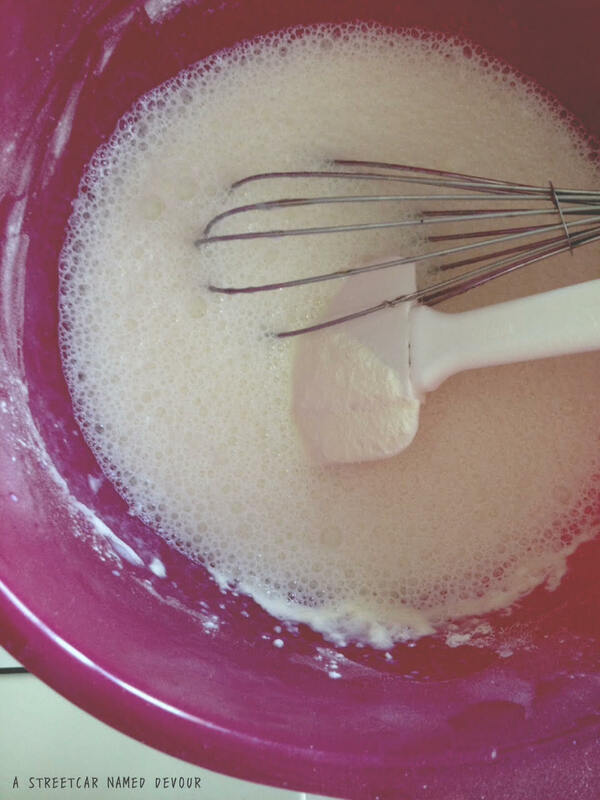 Add in the sugar and continue to whisk to thicken. 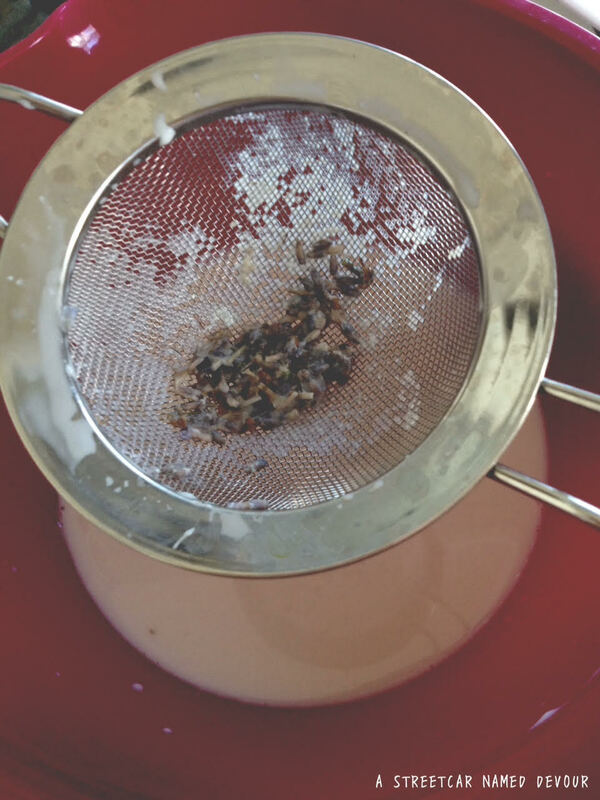 After the lavender/milk mixture has steeped for about an hour, strain the milk with a fine-mesh sieve, discarding the flowers. Return half of the milk into the shallow pan, turning the heat up to medium. 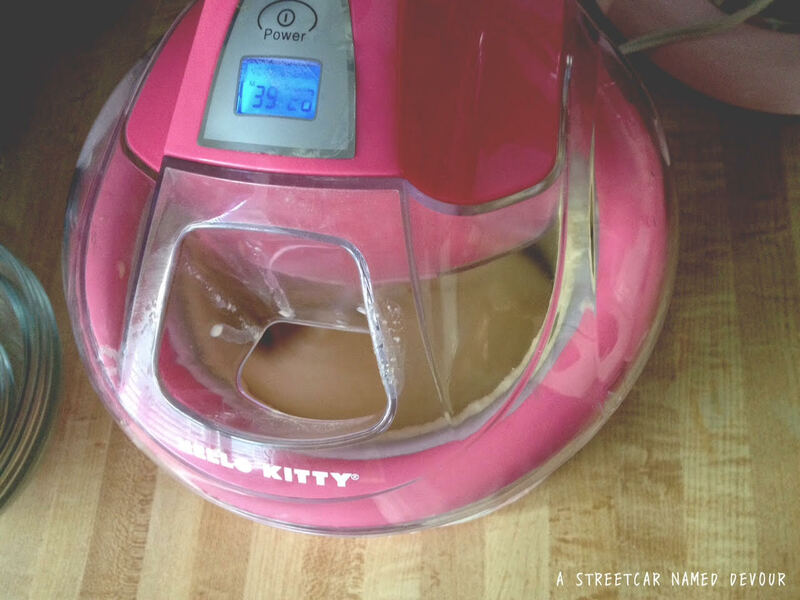 Place about 1/4 of the strained milk slowly into the egg/sugar mixture. This is called “tempering” the eggs. You’re essentially heating up the eggs very slowly avoiding to curdling them. Whisk and slowly add in more of the lavender/milk liquid until the mixture is warmed. 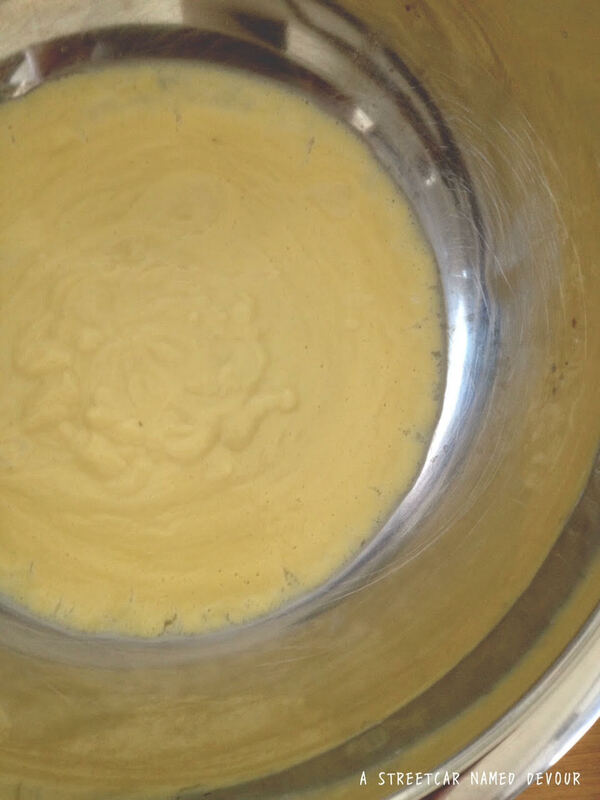 Then add the egg yolk/milk mixture into the shallow pan, incorporating it with the rest of the heated lavender/milk base. Whisk the mixture constantly, making sure not to overcook the eggs. Adjust the heat and/or remove the pan from the heat to maintain an even cooking temperature. 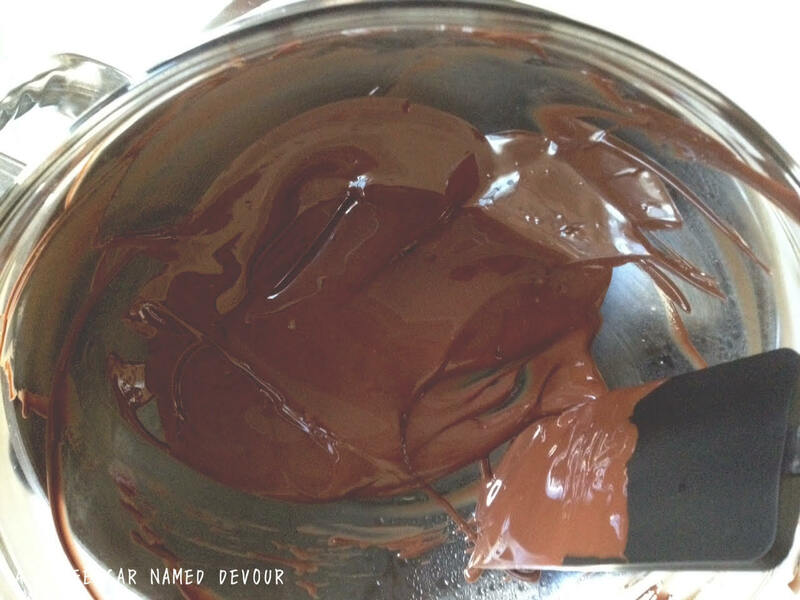 Once the mixture has thickened to the point where the mixture coats the back of a spoon, it’s done. Immediately transfer to a shallow bowl and place on top of an ice bath to cool down. Once the mixture has cooled down, remove from the ice bath. Cover the bowl with plastic wrap and place it into the refrigerator to cool down for an additional 3 hours, overnight if possible. 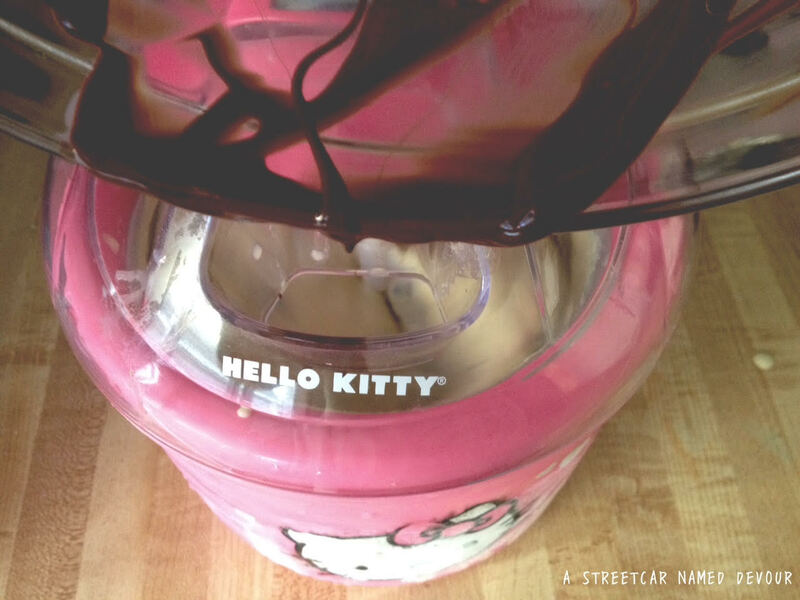 Pour your ice cream base into your ice cream maker when you’re ready to churn it. Follow churning process according to the manufacturer’s instructions. 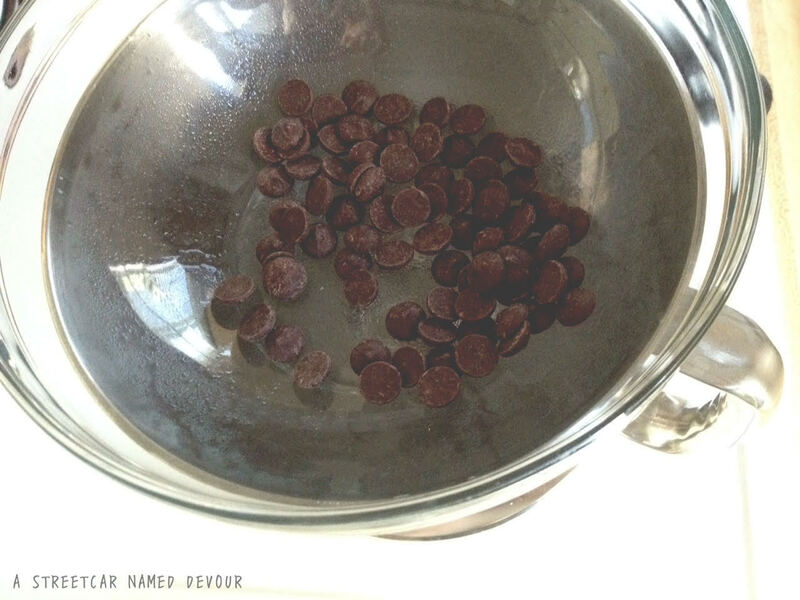 When you have about 30 minutes left of churning, set up a double boiler, and place the chocolate chips into a heat-resistant bowl to melt the chocolate. 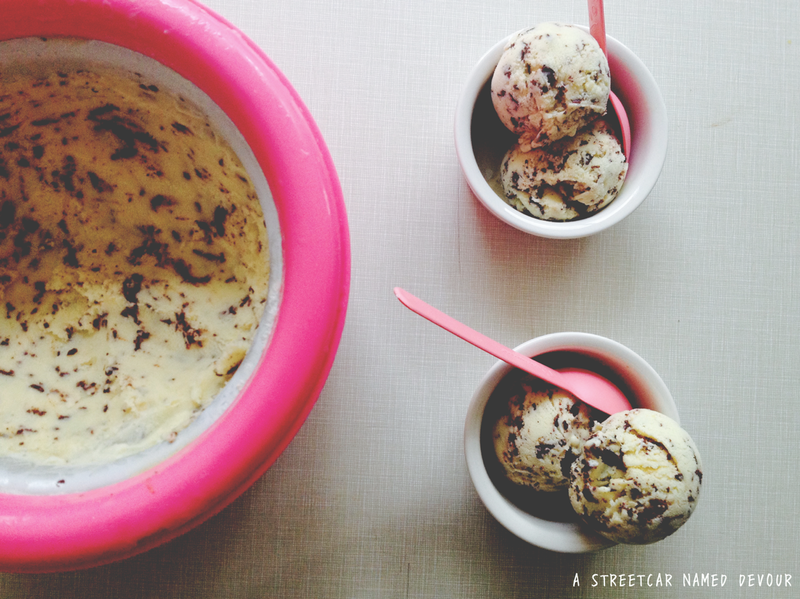 Cover and place the ice cream into the freezer and allow to firm for at least 3 hours.